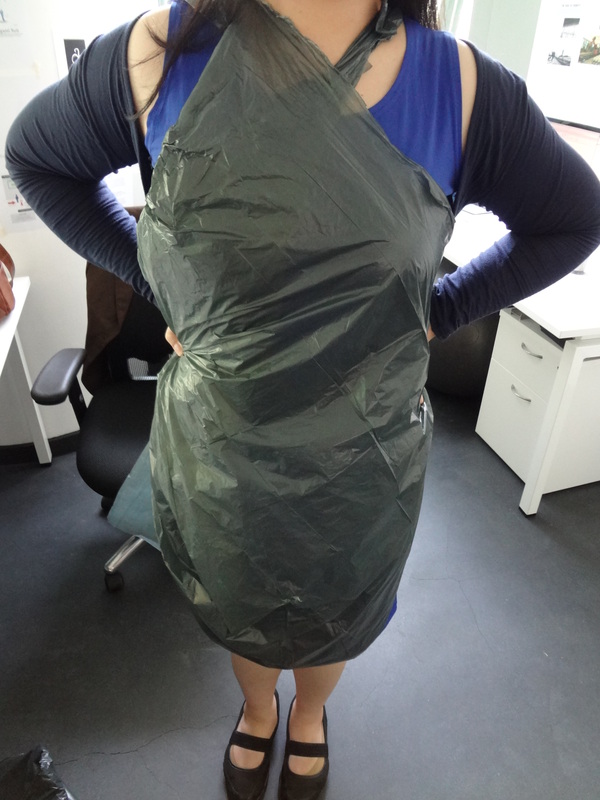 Hacking a Garbage Bag as a Dress. Because Apocalypse. 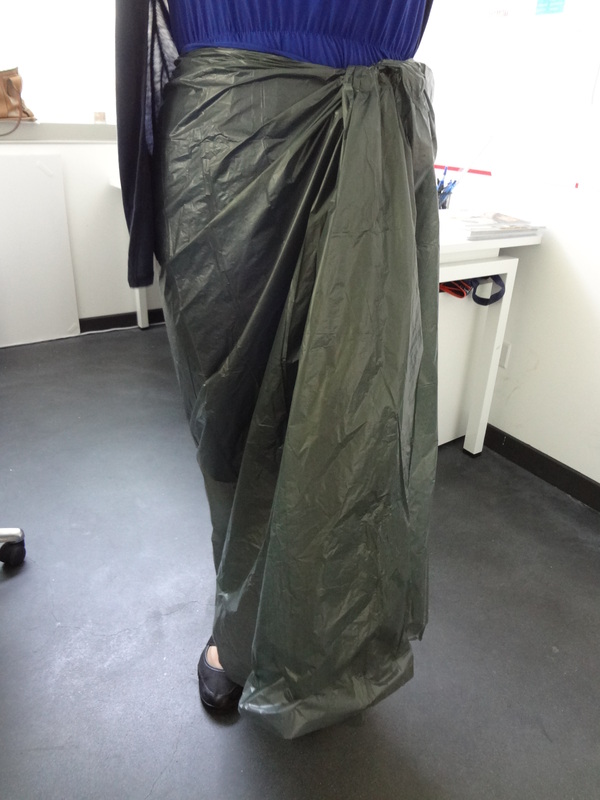 Today in the lab, I figured out some ways to turn a garbage bag into a dress. 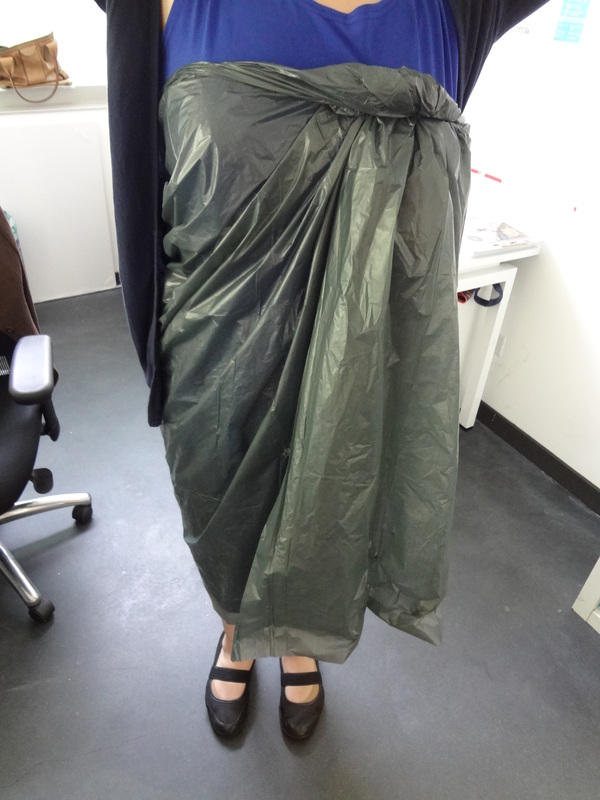 You know, in case that day may come when we can’t afford clothes any longer and will have to resort to trash to clothe ourselves. 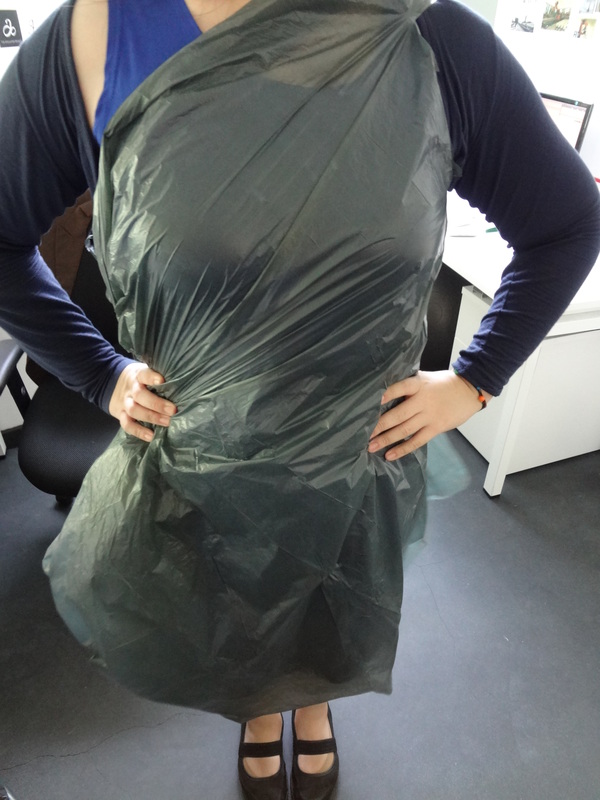 Naturally, for The Apocalypse Project. Here are some photos taken by Lin Kuek of the Future Cities Lab. Thanks, Lin!